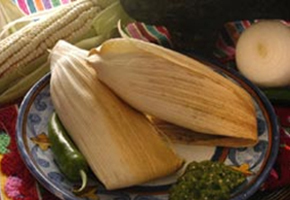 For this cooking class you can choose to learn how to make either salty tamales or sweet tamales wrapped in corn husks . While tamales are being steam cooked, you will learn how to make the salsas to fill them and a Cactus salad. Important note: Lard is required to prepare tamales, there is no substitution. So, if you cannot eat lard, this class will not be suitable for you.